For over 20 years, Mercedes-Benz has provided customers with a unique method to enhance their vehicle with our well-known designo® options. Taking individualization to the next level, designo® Manufaktur allows you to order distinctive exterior paint colors and interior leather stitching colors that are outside of the normal product offering. Individually tailored to the customer’s desires, the designo® Manufaktur program is a true made-to-order experience. Note: Click on heading to expand or collapse panels. How much does a designo® Manufaktur Custom Order cost? Each custom order is charged $2,500 as a custom order fee to start. The chosen custom options (paint/leather/stitching/etc.) will be quoted additionally. A custom paint is generally about $8,000 and a custom interior can range from $10,000 – $16,000+. Since each custom request is unique, exact pricing will be provided to the dealership for communication to the customer. Which plants or vehicles offer customization? The Sindelfingen and Bremen plants are able to offer customization on some models produced in these plants. Our Sindelfingen plant can offer custom paint and interior colors while the Bremen plant can only offer custom interior colors at this time. Other productions plants including all Tuscaloosa models are not available for customization. How long does customization add to the production time? Typically a custom paint will add 8 weeks to the production decade shown in NetStar and a custom interior will usually add 12-16 weeks. If both paint and interior are chosen, the higher estimate applies. Since each custom order vehicle is handled in a one-off made to order process, please note these time guidelines are only estimates and additional production time can occur. It is essential to review all of these guidelines and conditions with your customer when placing the order. Due to the additional production time, the factory stops accepting custom orders for a model year several months before production ends for the model year. Note some orders may be pushed to the following model year if production is too close to changeover. What other unique considerations should I know about ordering a custom vehicle through designo® Manufaktur? In order to begin a custom order, the dealership will need to provide a PO that is in A4 status. Please note, that the order should be fully configured to all desired specifications except for the custom items which will be added by MBUSA. Once we begin a custom order and receive approval from the dealership, no further changes or cancellation can be made to the order. We appreciate your understanding. Where can I learn more about what is available and see examples? Please visit the new designo® section of the online Dealer Ordering Guide and also view the designo® Manufaktur Product Video on the MBUSA YouTube channel as seen above. How do I start a designo® Manufaktur custom order? 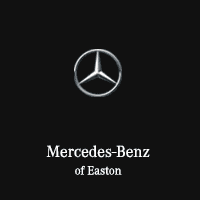 Contact Mercedes-Benz of Easton or the designo® Custom Order team at designo®@mbusa.com to start the process.